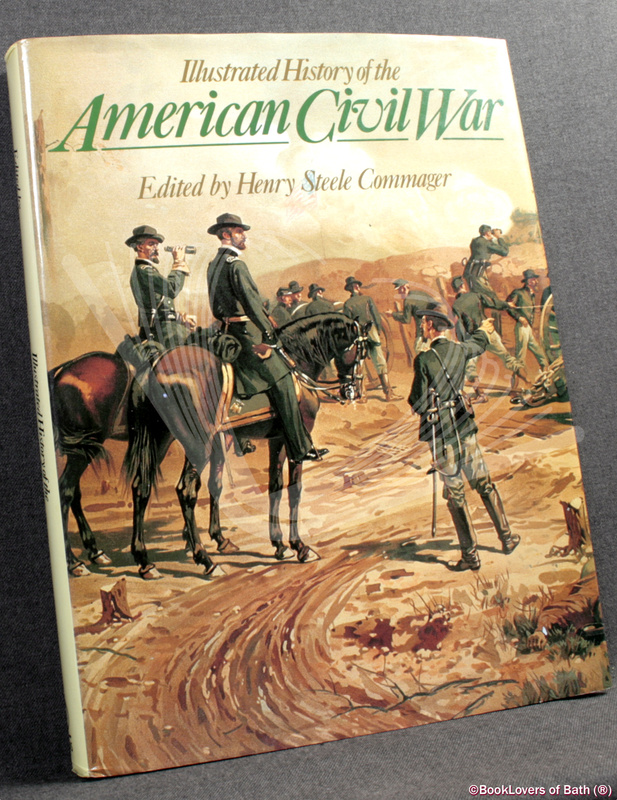 Illustrated History of the American Civil War by Edited by Henry Steele Commager lands on the shelves of my shop, where it will be found in my Military History section. London: Orbis, 1986, Hardback in dust wrapper. From the cover: The American Civil War was, and remains, one of the most significant events in the history of the modern world. It was the great point of crisis in the development of the United States, and its repercussions are still felt today. Yet to most people it is a confused collection of political, social and military events, with little pattern behind the differing elements. Leading scholars of American history here explain the whole background and course of the American Civil War, with special emphasis on the clash between two fraternal societies each with sincere but acutely opposed ambitions. From this basis they demonstrate where all the various elements come into the story how for instance, the ante-bellum South developed in such a distinctive manner, and why it identified itself with the continuation and expansion of slavery; why a politician like Abraham Lincoln could be elected, and what his influence was on events; and what effect the war had on the United States as a whole. The events of the war itself are expertly covered, but always set in the larger context of the aspirations and ideals of the two sides. The reader is constantly made aware of the larger issues: why, in fact, the North and South were fighting each other and what they hoped to achieve. The book is illustrated with over 300 pictures, many in colour, carefully composed to maintain a vivid impression of what life was like at the time; how the war affected the life of the people, combatants and non-combatants, militants and pacifists, civilians and soldiers, whether on a slave plantation in the old South, at the front line, or in the notorious prison camps, such as Andersonville. The final result is a compulsive re-appraisal of an historic event of tragic proportions which wove a hybrid collection of peoples into the greatest, most influential nation of the western world. Very Good in Very Good Dust Wrapper. Dust wrapper very slightly rubbed at the edges, more so at the head and tail of the spine, a little spotted on the verso. Text complete, clean and tight. Blue boards with Gilt titling to the Spine. 284 pages. Index. Bibliography. 11¼” x 8¾”. The world's leading book dealer in Peasedown St. John. This entry was posted in BookLovers of Bath: The Shop! and tagged 085613211x, 9780856132117, american, americas, central, chronology, civil, commager, history, indies, military, north, period, south, states, united, usa, war, west. Bookmark the permalink.